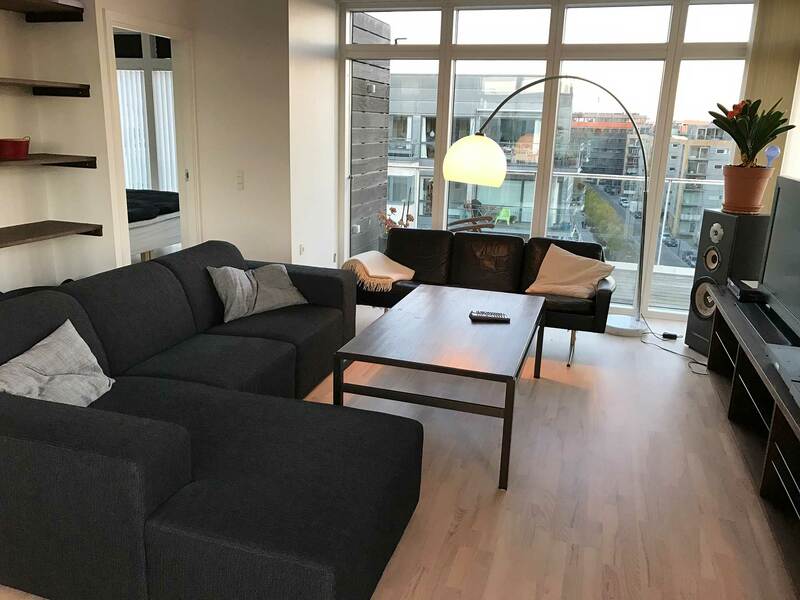 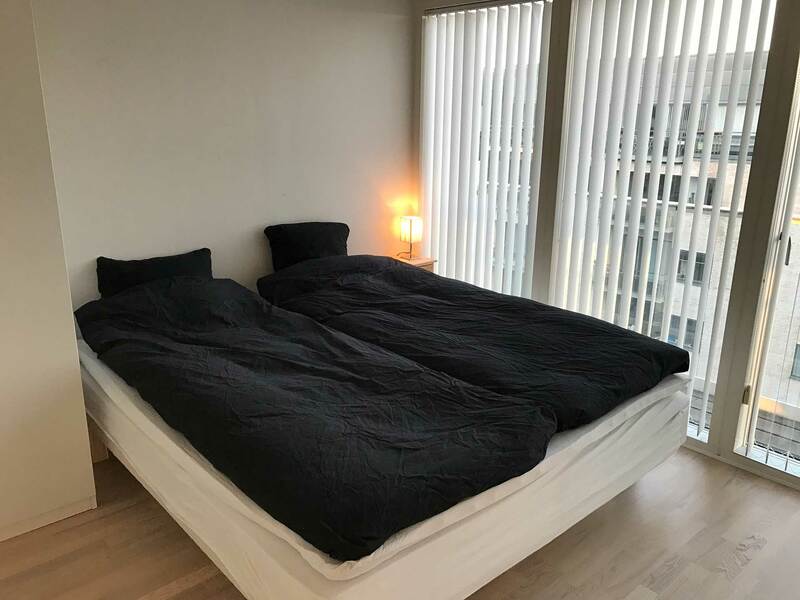 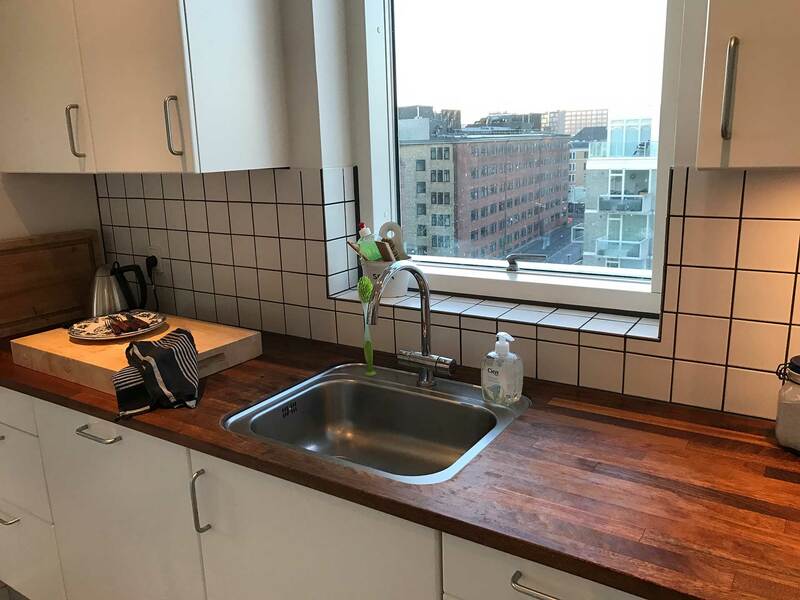 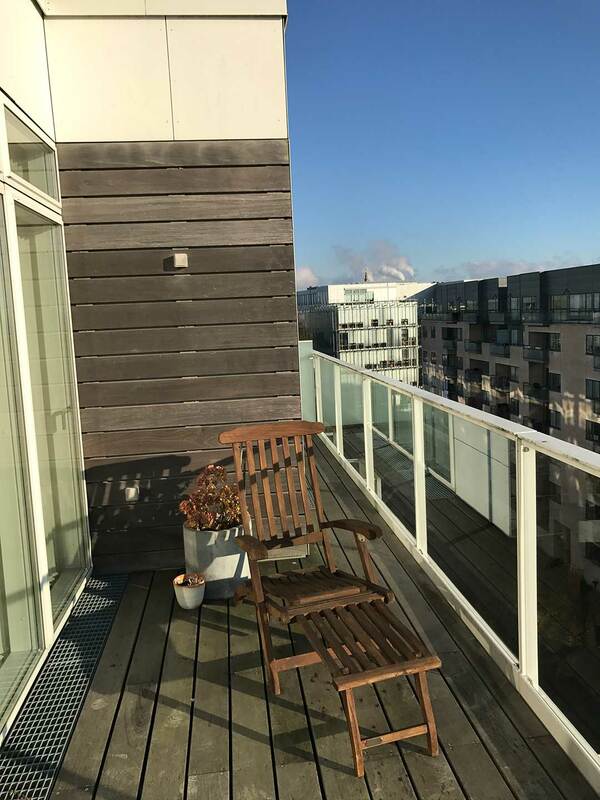 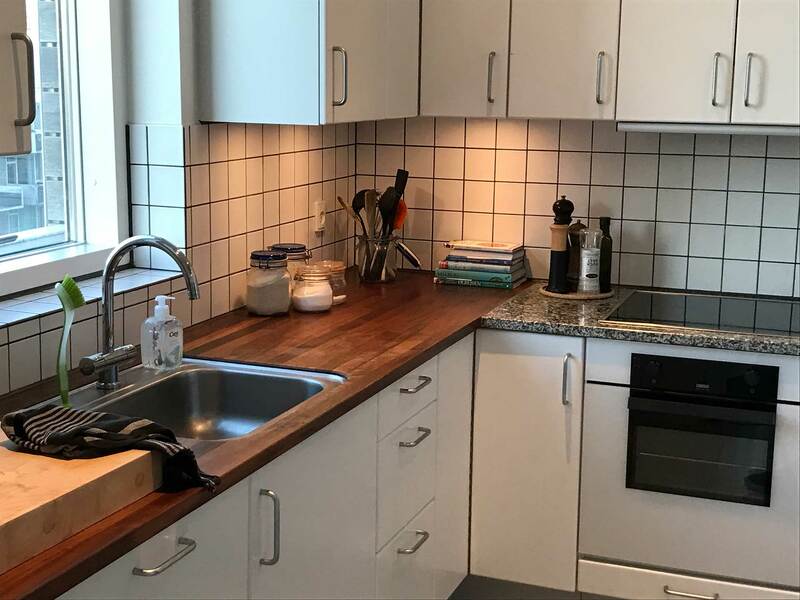 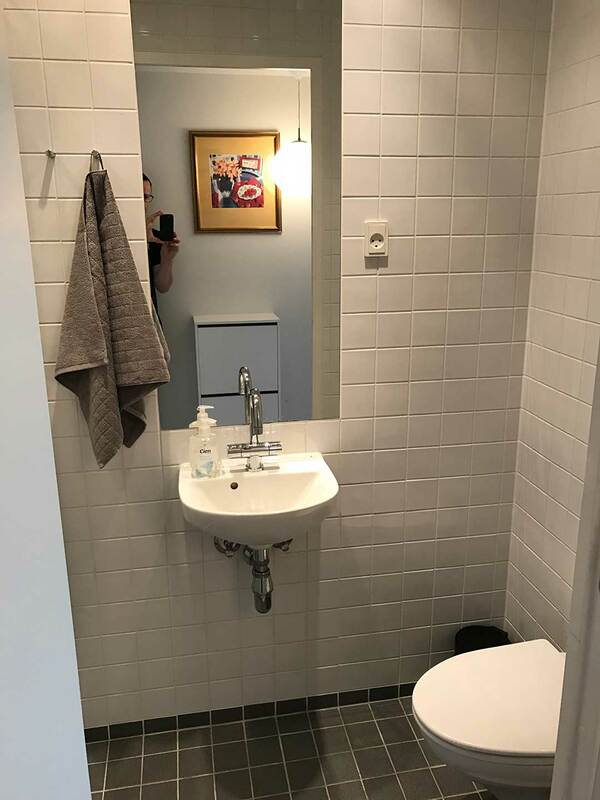 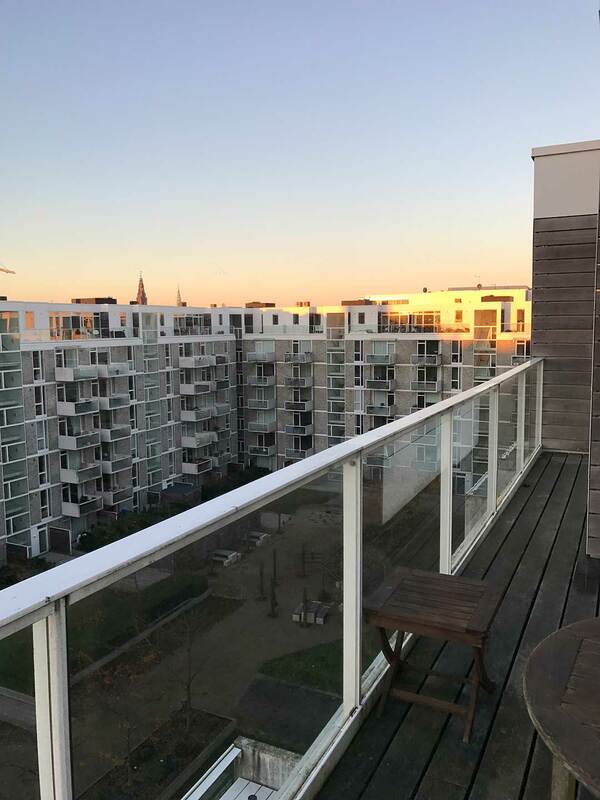 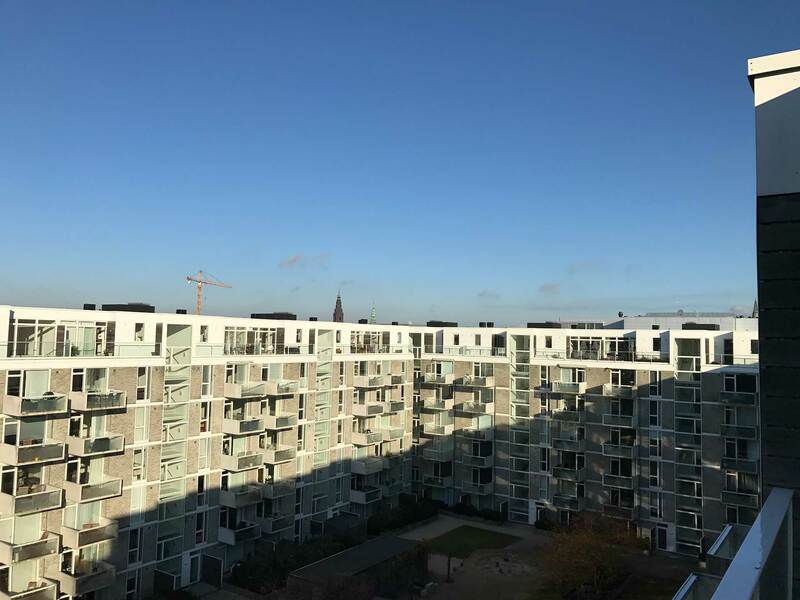 Cozy 75 square meter apartment with hall, nice open kitchen and living room, from both the kitchen and living room there is access to two large balconies. 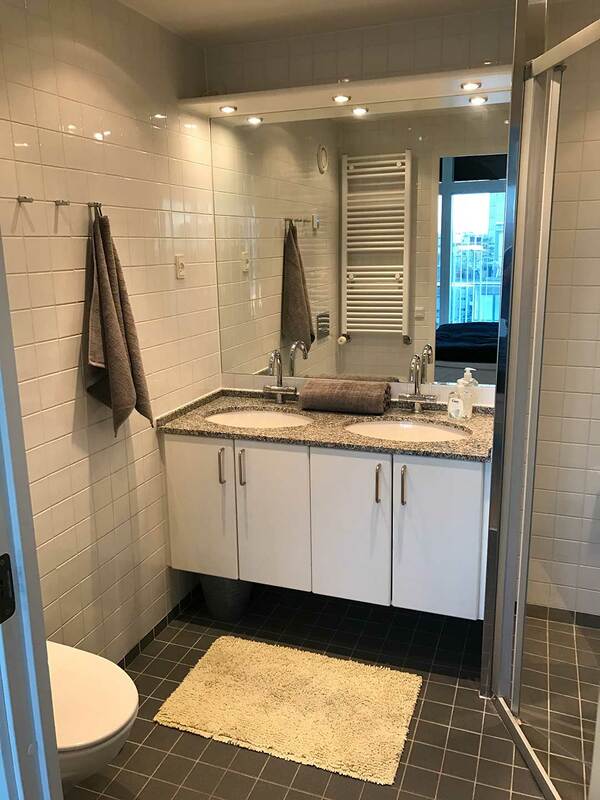 The apartmenthas also has 1 master bedroom with access to a private bathroom and a guest toilet. 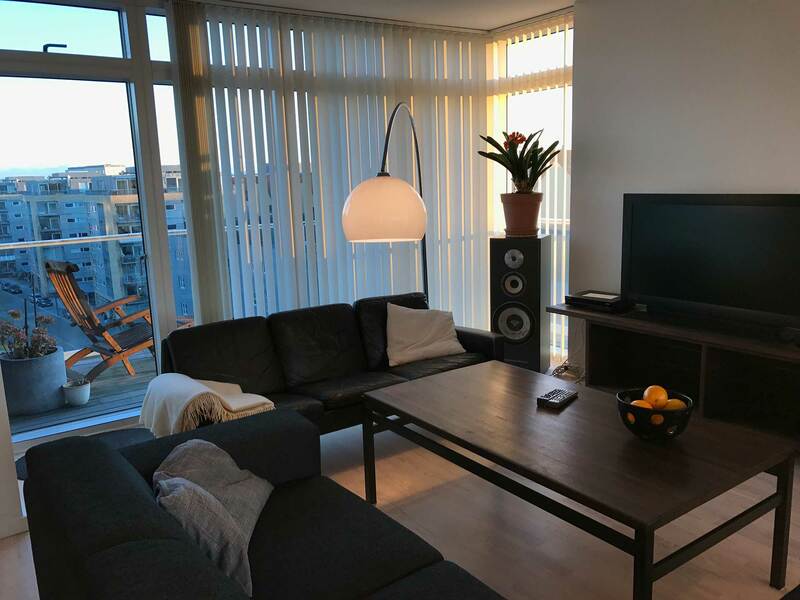 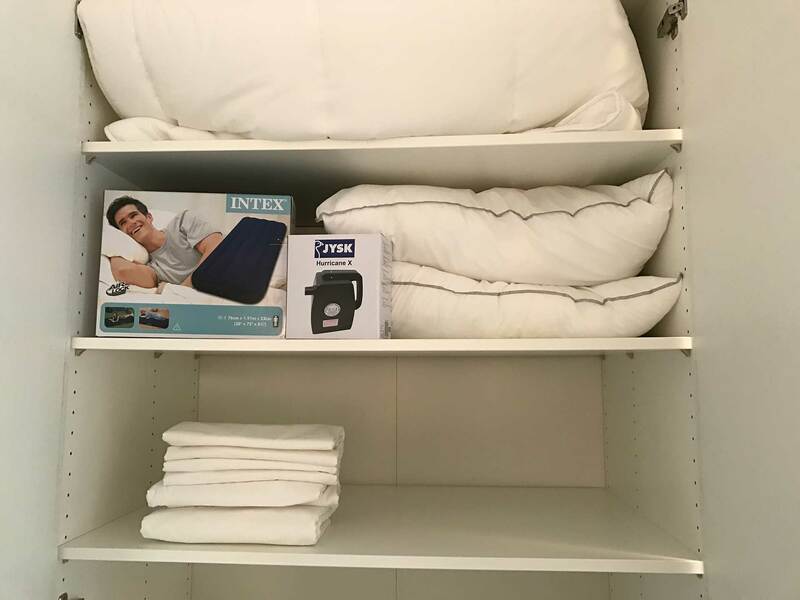 The apartment is fully furnished with a lot of storagespace. 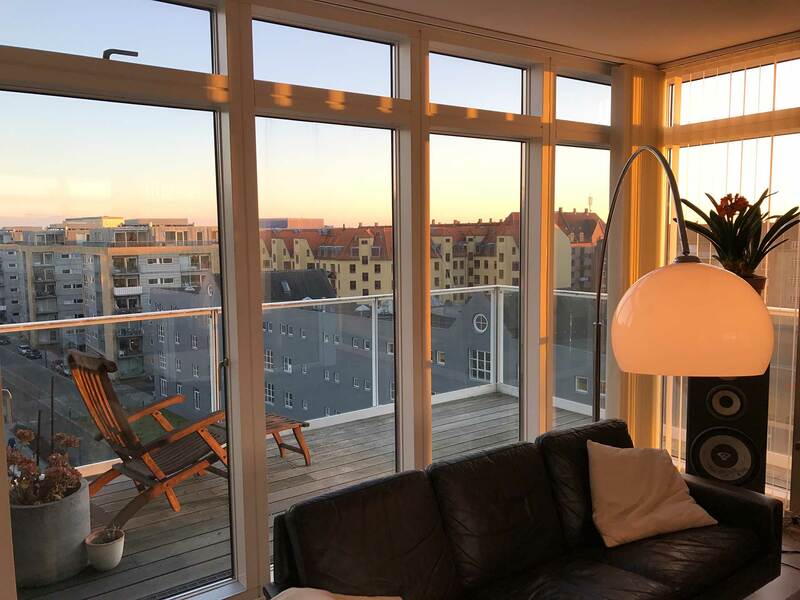 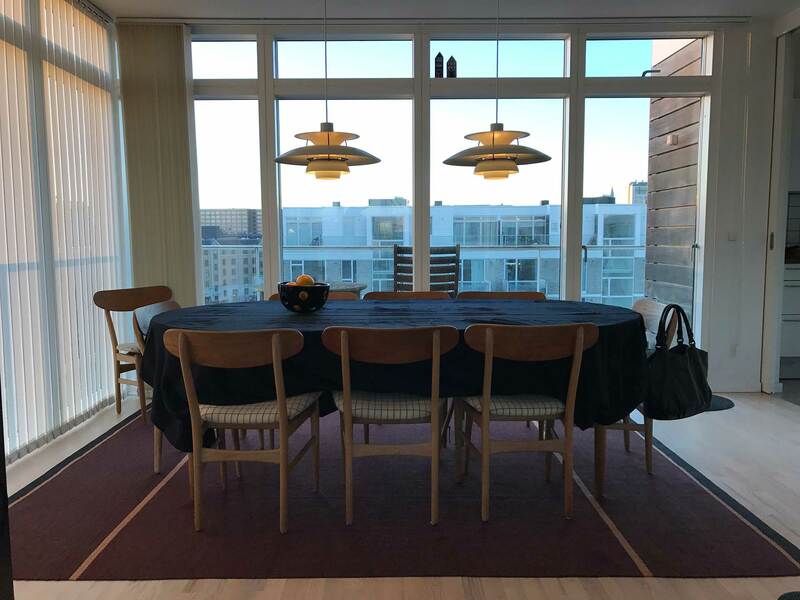 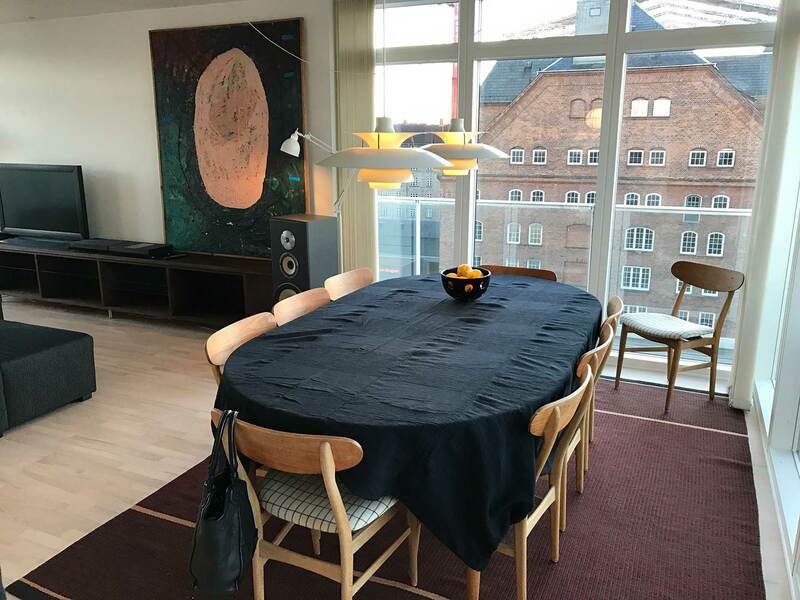 The apartment is located on the 6th floor and has a beautiful light and a amazing view ower Copenhagen. 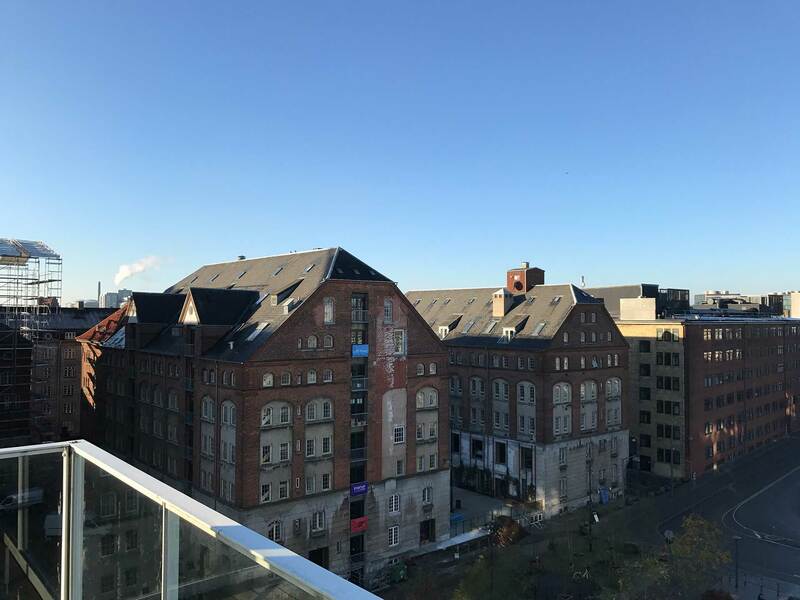 Islands Brygge metro station is only a hundred meters away and it takes 10-15 minutes to walk to City Hall. 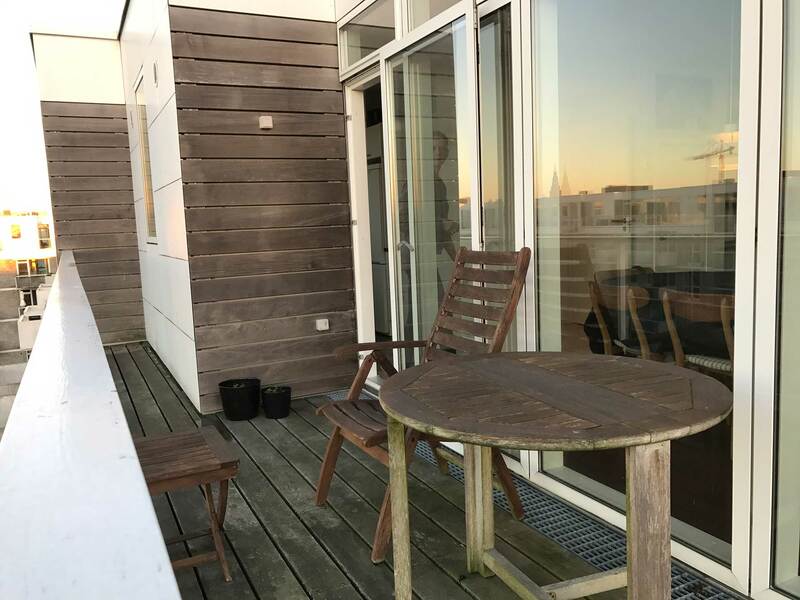 Good shopping (also organic), cozy cafes, Havnebadet and niche shops in the local area.